At the start of the new year, making those typical resolutions may not even make sense to us when we are struggling with our own physical and/or mental well-being. Frequently, I read about healthcare professionals stressing the importance of self-care in our daily lives. It’s not about being selfish or unkind, but rather the need to take good care of ourselves first. It’s only then, after practicing self-care, that we can reach out to others and be there for them. Remember the flight attendant’s instructions on an airplane: In case of emergency, put on your oxygen mask first and then help others. 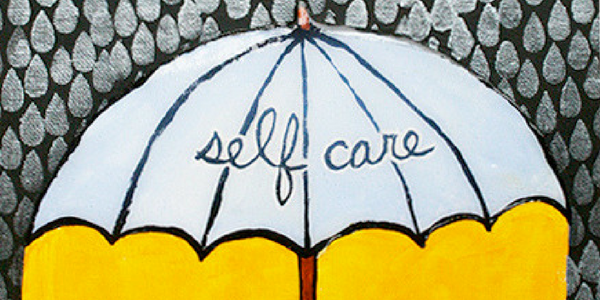 What self-care practices can you consider adding to your life? In order to be successful, they should be small, manageable, and attainable. After speaking with many people in our community, I’ve put together some self-care resolutions for you to consider. As you read through these suggestions, think about what can make you feel better for the upcoming year. Each person is unique, and so your self-care resolutions need to be tailored just for you. I will focus on myself and how I can improve myself, both physically and mentally. I will not compare myself to others. I will recognize each and every time I have accomplished something positive for myself and let myself feel good about that accomplishment. It might be small, like taking a rejuvenating walk, or a bigger one, like making an important doctor appointment or starting to solve a medical issue. I will try one positive healthy action every day, for example, drinking more water, taking a walk, improving eating habits, meditating, reading a good book, or practicing mindfulness. Each month I will add one more healthy action to the list. I will find people who can serve as confidantes or mentors, who I can brainstorm with, whether in person or by phone. In a notebook, I will write down specific issues I am having (for example, recurrent headaches, sleeplessness, GI issues) and how I am trying to deal with each of them. I will speak with others who are capable and knowledgeable and hear how they suggest I resolve my specific issues. I will include worthwhile suggestions in the notebook, and take note as to what is working and what is not working for me. I will think about one person I am grateful for in my life and express my gratitude to him or her. I will ask for help from others when I need it, whether for something small or something big. I will notice when I am trying my best, whether at work or at home, and I will congratulate myself for my efforts. I will recognize when I need to pace myself and when I need to take a break from whatever I am doing. Self-care may mean doing less in my day, rather than more in my day. I will spend my time doing more activities that I enjoy and less time doing those I do not enjoy. When I have to do something I don’t enjoy, I will also try to do something that is enjoyable or rewarding on that same day. I will choose self-care practices that are meaningful and helpful to me, and I will try to practice them on a regular basis. Please let me know what self-care practices you are interested in undertaking or have taken on for the new year. 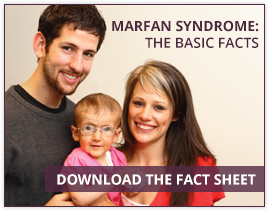 You can comment below or contact me directly (516 883-8712 x126 or jlynch@marfan.org).